Dele Momodu has lauded the Peoples Democratic Party’s Presidential Candidate, Atiku Abubakar for being a true democrat. 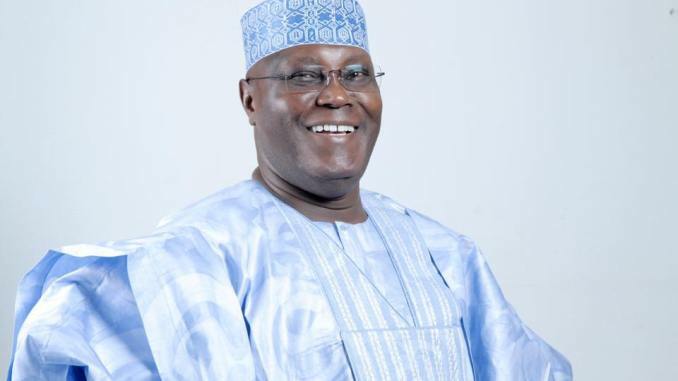 The publisher of Ovation magazine who took to his Twitter account stated that Atiku fought ‘decently in the just concluded Presidential election. He took the opportunity to call on Atiku to place Nigeria above everything even though he was cheated. “My dear WAZIRIN, I supported you for only one reason, I believe no government should be encouraged to have a second term if its performance in the first term is below average. I was neither a member of APC nor PDP but a firm believer in a virile opposition. “My dear WAZIRIN, you became my option after you won your ticket on the platform of PDP knowing from personal experience that only the top two party tickets have any chance of winning this Presidential race though I supported other younger candidates, morally and otherwise. “My dear WAZIRIN, my hope was for a level playing field for all candidates, young or old, but obviously that did not happen, even if no election can ever be perfect. Many Nigerians prayed and fasted and did whatever they could in the expectation that our democracy would deepen. “My dear WAZIRIN, to cut a long tale short, many lives have been wasted, many citizens have been brutally injured, and the results have virtually been declared, and the direction is all too obvious. And this is where you come in, as tempers rise, left, right and centre.